The General Plan was last updated in 2012 to run through 2030. It contains plans for mixed use development around transit services, water conservation, open space preservation and upgrades to multimodal transport options. Concord adopted a citywide Climate Action Plan in July 2013. Concord has a resource page with business support links. The city encourages business to get Green Business Certified. The Reuse Plan for the former CNWS was recognized by the Northern California Chapter of the American Planning Association with a 2012 Merit Award for Green and Sustainable Planning. Save Mt. Diablo awarded the City its Mountain Star Alliance Award for “incredibly visionary leadership.” Sustainable Contra Costa recognized the project with its “Smart Growth” Award for 2012. The City of Concord authorized the California HERO Program and Figtree financing to operate in Concord as part of the PACE program. This action will facilitate business and homeowner investments in facility energy savings, waste reduction and adoption of new environmentally friendly practices. The City was selected by Popular Science Magazine as one of America’s 50 Greenest Cities in 2008. The City continues to implement the 30 recommendations of the Green Ribbon Task Force. As of June 2014, over 8,400 street lights have been retrofitted to induction lighting. Induction lamps have a lifetime of more than 100,000 hours and are less expensive than LED technologies. PG&E rebates helped pay for the construction of solar panels at Concord Community Park, which help power the Park’s pool circulation pump. The City created a fast track process for residential rooftop solar photo-voltaic systems, as part of a regional effort to encourage solar energy use. In 2011-12, the City upgraded existing infrastructure City-wide, including cooling and heating systems in City facilities. The energy efficiencies are expected to reduce future electricity usage by 30 percent and the City’s annual carbon footprint by over 3,200 metric tons of CO2. Concord and PG&E, in partnership with East Bay Energy Watch Smart Lights Program, implemented Business Community Outreach Program to install efficient lighting and other efficiency upgrades in local businesses, which resulted in saving 500 kW of energy. A Facility Energy Assessment Report was prepared for the City by the Association of Bay Area Governments (ABAG) Energy Watch Partnership. The City has a Recycling Opportunities page on its website. It has advice for recycling at home, work and various types of materials. The City’s Construction and Demolition Materials Recycling Ordinance reduces waste and increases recycling of building materials. Concord’s Civic Center, Parks, Fleet Management and Printing Services divisions are all certified as Bay Area Green Businesses. To be certified “green,” participants must be in compliance with all regulations and meet program standards for conserving resources, preventing pollution and minimizing waste. Between 2006 and 2012, Concord residents and businesses decreased waste generation from 6.26 to 3.27 pounds per person per day as solid waste was diverted from the landfill to recycling, composting or reuse. During this same time period, the rate of diversion away from the landfill to recycling and other alternatives grew from 45% to 71%. 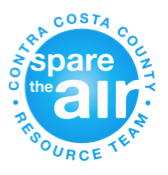 The City provides advice on its website about how residents can conserve water and meet Contra Costa County Water District restrictions. As of June 2014, City of Concord water usage was 37% lower than Contra Costa Water District’s historical baseline – a greater savings than the 15% reduction target set by the District. The savings were achieved through elimination of water leaks, replacement of inefficient toilets and other fixtures in City buildings, as well as the use of drought tolerant plants in landscaped areas and replacement of irrigation controllers. Meadow Homes Spray Park, designed to filter, treat and recycle the water it uses so to reduce waste, received an Agency Showcase Award from the California Park & Recreation Society, District 3, in the category of Outstanding Facility/Park as well as the American Public Works Association (Northern California) Public Works Project of the Year Award in the “Structures” category. An extensive sewer project in Concord’s greater downtown area will replace the clay pipe lines from the ‘40s and ‘50s to prevent leaks and reduce the probability of water-wasting breaks. The City received five all-electric vehicles in August 2014, will receive another five in February 2015, and has ordered ten electric vehicle charging stations for these City vehicles. The City reduced its total vehicles from 336 in 2006 to 260 in 2014. Policies supporting pedestrians, bicyclists and transit riders are found in the Proposed Trail Master Plan, the Complete Streets Policy and a future Pedestrian/Bicycle Plan. Bike to Work day 2014 saw 157 bicycle riders at the City’s Energizer Station. The Downtown Concord Plan adopted on June 24, 2014 encourages placement of housing, jobs, and retail next to the downtown BART. Concord is and has been a Tree City USA for 32 consecutive years in recognition of its commitment to community forestry. The community looks forward to the future redevelopment of the 5,028-acres Concord Naval Weapons Station property, which calls for approximately 2,700 acres to be set aside as a regional park. The City’s Development Code protects creek and riparian habitat, prevents hillside soil erosion, and seeks to prevent the spread of undesirable, exotic vegetation space (Chapter 122 Development Code, Article VI Resource Management). Open space including trails, parks, rural and wetland conservation areas are clearly designated in the General Plan and the 2012 Zoning Maps. The City maintains 175 acres of the Lime Ridge Open Space. The East Bay Leadership Council’s Environmental/ Manufacturing Task Force evaluates, educates, and promotes communication on environmental issues and their affect to businesses and other Contra Costa County communities. 51 businesses in Concord are Certified Green Businesses.